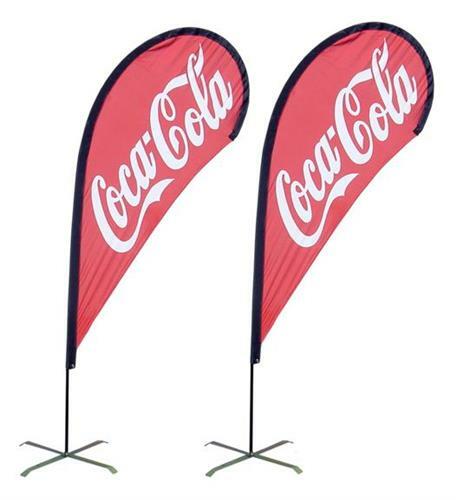 The teardrop flag feature a single-sided flag that uses a special polyester mesh fabric for showing customized prints on a variety of brilliant colors. 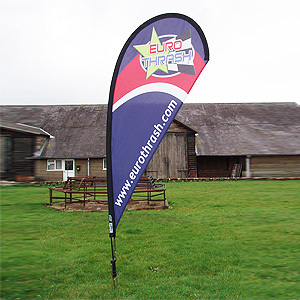 The teardrop flags are quick and easy to install and pack away and also come with their own quality carry bag. The teardrop flags signage system can be used indoors or outdoors and are available with optional accessories for use on soft and hard surfaces.